The Federal Reserve says it will keep stimulative policies in place until the unemployment rate falls to 6.5%, but it doesn't predict that will happen until 2015. The Federal Reserve predicts it will keep interest rates at record lows until the unemployment rate falls to 6.5%. But just how many jobs will it take to get there? As of November, the unemployment rate was 7.7%. In order to drop to 6.5% immediately, it would require 1.9 million jobs to be created right now. Just like that. Bam! Obviously, that's impossible. The economy is chugging along slowly, and with job growth averaging around 150,000 each month, that's an entire year's worth of hiring. But the Fed expects it will take longer than one year to get to its goal. That's because, once you factor in population growth, the economy will need far more jobs to be added than the current pace. To get there in a year, 3.2 million jobs have to be created. That's roughly 270,000 jobs each month. Extend that out to the end of 2014, and the economy would need 5 million jobs, or 200,000 jobs a month, according to David Rosenberg, chief economist and strategist for Gluskin Sheff & Associates. But hiring at that rate is unlikely. That's exactly why the Federal Reserve predicts it will take until some time in 2015 to bring the unemployment rate down to 6.5%. Rosenberg thinks even that is optimistic though. If job growth continues at its current pace of 150,000 jobs a month, it could take until 2018, he said. All of these predictions factor in population growth but hinge on one key metric: the economists are assuming 63.6% of the adult population will be participating in the labor force, meaning they either have a job or are looking for one. The unemployment rate could fall more quickly if more workers drop out of the labor force, which happens when people retire, go to school or give up on the job market. In that case, the Fed would probably not view a falling unemployment rate as a good thing. 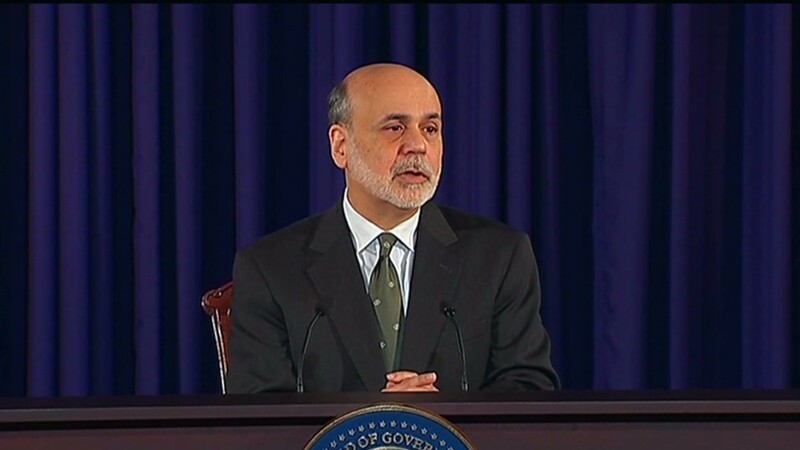 Fed Chairman Ben Bernanke made clear Wednesday, that although the central bank announced the 6.5% threshold, it "by no means puts monetary policy on autopilot." The central bank plans to consider "a range of labor market indicators," he said. And getting the unemployment rate back to 6.5% is only a start. It doesn't represent a full recovery. 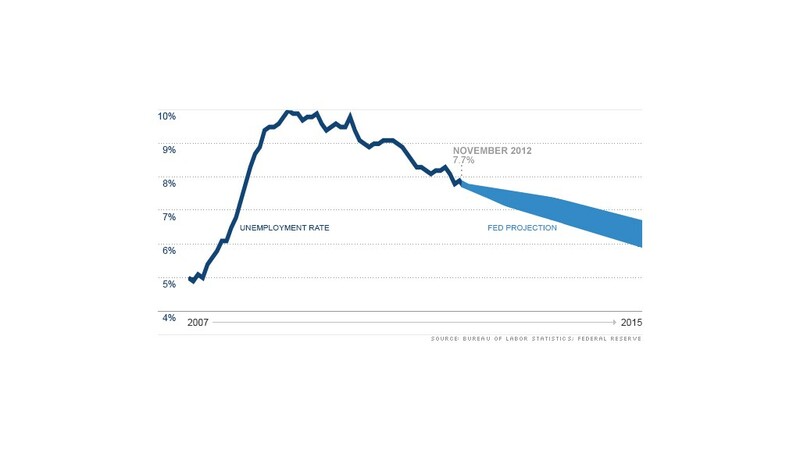 Before the recession, the unemployment rate was 5% in 2007. Every month, the Hamilton Project, an economic research arm of the Brookings Institution, publishes a "jobs gap" calculator that estimates just how long it will take to get back to that level, assuming the only major job market dropouts are Baby Boomers who are retiring. But you may not want to hear the answer. At the current rate of hiring, the Hamilton Project estimates it would take until 2025 to get back to a pre-recession job market.